The Chang’e-4 mission successfully landed on the moon on 3 January 2019. Now China’s space agency, the China National Space Administration, has released footage of the historical Chang’e-4 landing. 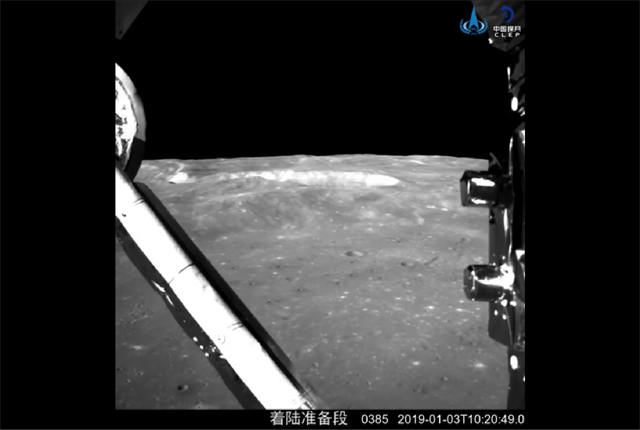 The footage shows the Chang’e-4 lander descending onto the moon, before successfully touching down in the Von Kármán crater. Its rover, Yutu-2, will continue to explore the uncharted far side of the moon during its three-month mission. Later this year, Chang’e-5 is expected to land on the surface and collect samples, which will then be returned to Earth. Watch the historical lunar landing below.